David Halberstam, Stanley Crouch and Pete Hamill with Barnes & Noble speaker at podium. · One Book. One Author. One Hour. David Halberstam, Stanley Crouch and Pete Hamill with Barnes & Noble speaker at podium. 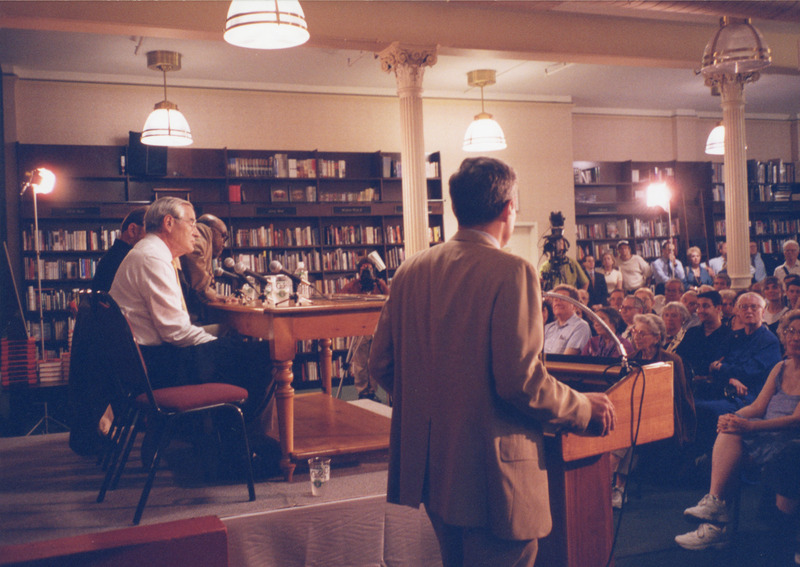 Brian Lamb, 1941-, “David Halberstam, Stanley Crouch and Pete Hamill with Barnes & Noble speaker at podium.,” One Book. One Author. One Hour., accessed April 21, 2019, http://booknotes.gmu.edu/items/show/2989. 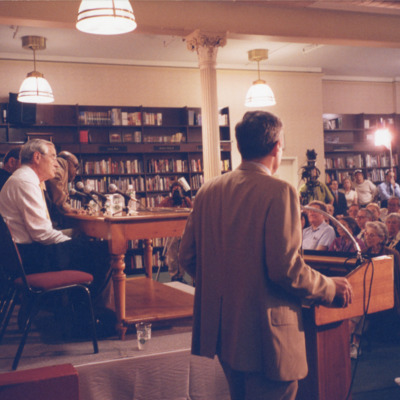 Barnes & Noble Union Square in New York hosted a "Booknotes" panel discussionon the evening of July 8th with authors Brian Lamb, David Halberstam, Stanley Crouch and Pete Hamill. The photo is taken by Brian before he stepped to the podium to address the audience at the bookstore.